Fifi, arguably Australia's most famous clinic cat. Photo by Carol Gibbons photography. Living with non-human companions is, on the whole, a wonderful thing. But it can bring challenges. Our Vet’s Pets column is back in 2016, proving that even vets deal with the same challenges that our client’s seek assistance for. 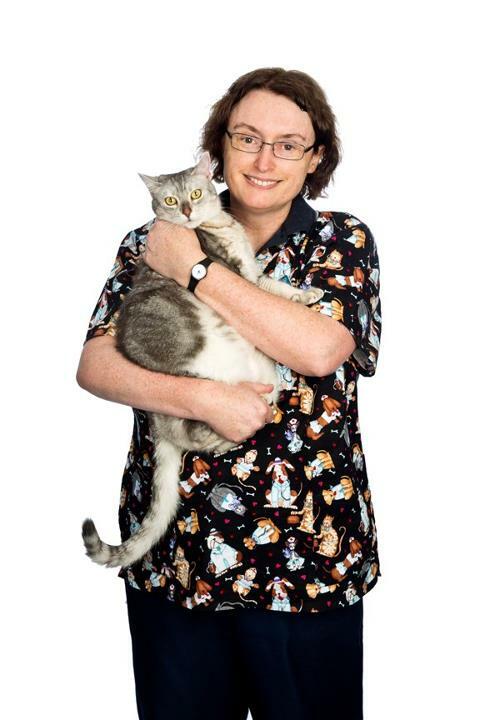 Kay Gerry is a fabulous vet and servant of a not-always-well-behaved feline, Fifi, who nonetheless has achieved internet fame. Owner/ veterinarian Sydney Road Veterinary Clinic in Balgowlah, Sydney. Tell us about Fifi. How did you meet? Fifi used board frequently at my previous place of employment. The family had adopted her the previous year from the Animal Welfare League. I grew up with lots of silver tabby cats, so we had lots of cuddles. Fifi loses a lot of fur. The eldest child developed bad asthma so the doctor, hearing of Fifi's extreme fluff problem, said she needed rehoming. So I rehomed her to my elderly mother who had recently lost her grey cat: ok, not quite silver tabby. Fifi definitely has some anxieties. Mother staring at her for 6 months & chasing her at bedtime to lock her away, meant they never really bonded. Mother was concerned Fifi might break an ornament. Finally Fifi had had enough & sunk her teeth into mother's skinny little calf muscle twice in 3 days when she was not actually interacting with Fifi. So I really had to take her away. In view of not believing a cat who bites should be rehomed, she took on the role of Practice Puss. Does Fifi have any conditions that require treatment? I have tried extra omega 3s for her fur loss problem to no avail. When on her diet food, she loses less fluff. We have to be careful with female clients as Fifi especially likes men, and especially likes to nip females who touch her tummy. Thankfully we have her perched up on the printer/fax, and most women can pat her but not reach her tummy from there. Ironically she has become rather sociable despite her anxiety. As for her weight issues, my nurses can attest that Fifi barely eats anything! I put it down to age now she is 8. She did try the special diet food that is satisfying, however we had to stop as she was no longer hungry, so ran around being grumpy! To my knowledge, she is still the only cat worldwide with this suspect adverse reaction to the food! We did explain to the food company, she had pre-existing psychological problems. Kay and Fifi. Photo by Tania Niwa. I adore her, even though she bites me quite frequently. She seems to tolerate my attention. The nurses sweetly tell me she is upset when I am away. Most evenings I have dinner with her. Then we have cuddles. She can be very affectionate. If I am petting her & stop before she wants, she is likely to nip me. Has caring for Fifi taught you anything you didn’t already know about their condition or animals with this condition? 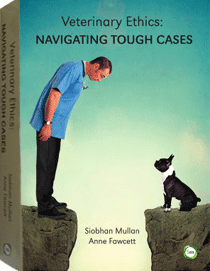 I am certainly more aware of pets having psychological problems than I previously had been. How has Fifi changed your approach to patients? I am more likely to suggest medication or referral to a veterinary behaviour specialist for anxious pets than earlier in my career. Fifi believes she is the most important member of the team. She loves to spread her fluff and love around the clinic. She enjoyed her long service leave, but now it is back to the hard slog of the clinic cat's life! In 2014 Fifi won the Best Vet's Pet Photo Competition so appeared as the cover girl for a veterinary magazine and received $700 in her favourite cat food and veterinary books! 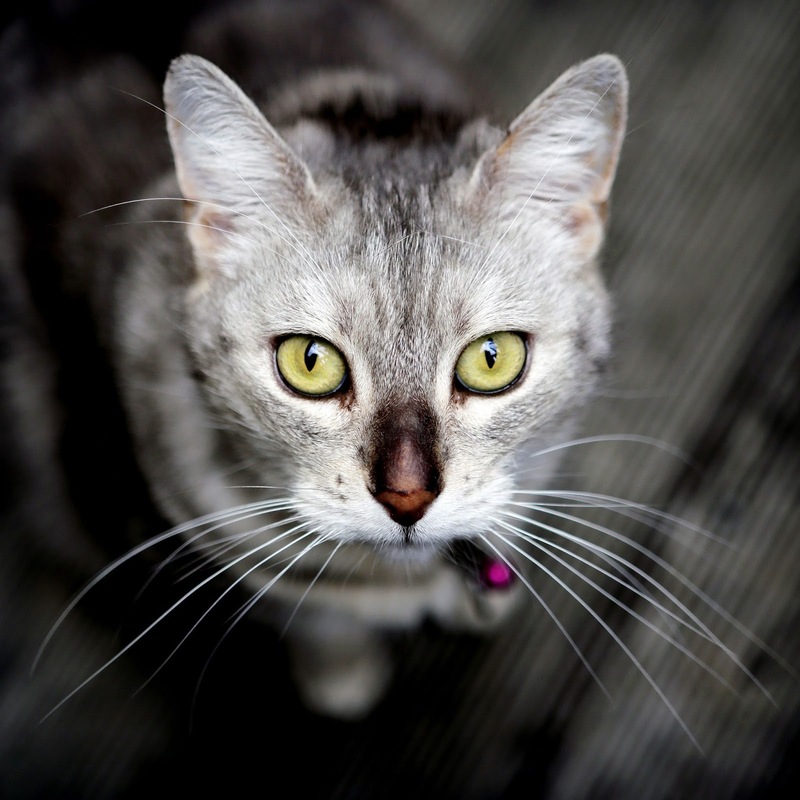 In 2015 she beat about 220 cats to become Runner Up National Winner Veterinary Clinic Cat of the Year! 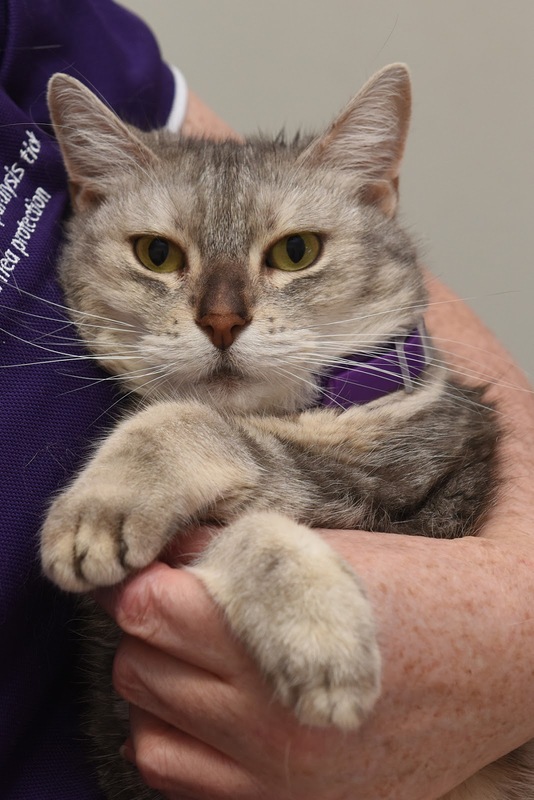 To see Fifi in action, check out the Sydney Road Vet website or their facebook page here.